The Soccer Insiders: Why Can't I Coach in the EPL? After the latest string of firings, Halloway included, I felt I needed to enlighten some of you as to what it takes to coach in the EPL. In the US, most in the coaching ranks are familiar with the USSF standard ratings, E, D (state and national), C, B, and A licenses. Typically, you won't see a D1 school being coached by someone with anything less than an A license. I say typically, because there are some with a B. For the B license, typically you need either 1+yrs with a C License from the USSF, the Advanced National Diploma from the NSCAA or five years of coaching experience (any level) AND five years of playing experience with a Senior National Team or five years of FIFA recognized professional playing experience. There are a handful of ex USMNT players with these licenses as well. For the A license, you have to have your B for 1-3 years and be at least 21yo. The C-A licensing are all 7-9 day residential courses with analysis and testing throughout. From the level D to A, there is testing on a pass/fail (C-A has 5-1 rankings with 5 being a fail and 1 a pass, if you fail one, you can retake that section before the residency is over, but fail again and you're out till 1 year hence). spend at least 4 years if you have no waivers. By the time you have your A license, you'll need to start earning Continuing Ed. credits from such things as teaching a coaching class, taking further seminars, etc. Failure to do so results in a suspension of the A license and need for a retake. There are other classes that don't necessarily lead to further licensing at this level, but they do have practical implications such as the NSCAA's goalkeeping classes, and special seminar classes like concussion training. Personally, I'm working on my D National license upgrade and taking a few goalkeeping classes to help out my HS team in the spring. Now, you saw that correctly, an upgrade to my D. Basically, I didn't get my D National several years ago, just state, because I wasn't ready as a coach. Back then, the class was a 3 day class with testing at the end. In the past year, the USSF has made adjustments to mirror coaching courses in England, Wales, Germany, Holland and Spain. 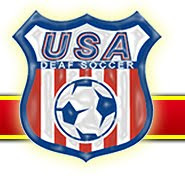 Now, to take a D License class, you have a 3 day class at the beginning of a season (either June or Novemeber) and then a followup 3 day class at the end (again, predominantly June or November). The idea behind this is you get some hands on experience of how to improve your team, then get to go try it out, self-analyze and then report back, share experiences and then test. Actually, a pretty good approach as Wales does this with the UEFA Pro license. The reason I bring up Wales is that there has been repeated complaints that the English FA requirements are so difficult to overcome, that coaches are looking elsewhere to get their licenses, and Wales is just a stones throw from London, making a day trip easy for the classes as well as followup. Currently, you see former players like Jens Lehmann there, and a recent recipient is Everton's manager, Roberto Martinez. The Uefa Pro Coaching Licence is aimed at Europe's elite band of coaches but it is actually more about management than coaching itself. The Uefa 'A' Licence, a step below the Pro Licence, covers matters more suited to the football pitch. That takes at least a year and encompasses 180 hours but Uefa guidelines suggest that coaches should have a further year's experience before progressing to the top qualification. The Premier League only signed up to Uefa's coaching rules in 2003 and English football has been playing catch up since. The thing is, to coach in the EPL as of 2010, you need to have your Pro License. For most, this involves about 180hrs of work (they're coaching already anyways, so this is just works in tandem) and about 12-18mo time between meetings, trips to other Euro clubs like Barcelona and AC Milan to study technical details and phone conferences. For those coaches without one, who are promoted to the EPL, or who take over in a caretaker capacity, they effectively have 1 season to complete the course or are no longer recognized as the manager and must step down. It's tough work, but also why you don't see US coaches making jumps to coach in the EPL, like Bob Bradley was rumored to be in like for the Aston Villa job before taking over for Egypt.